Bling bling! 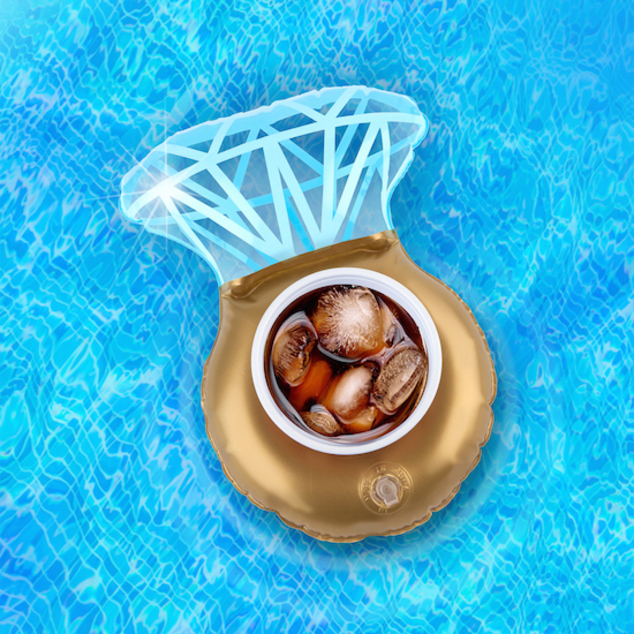 Bringing a giant diamond ring into the pool might seem risky (her: “omg i’m sooo sorry babe!”), but we’ve got the next best thing: Beverage Boats! 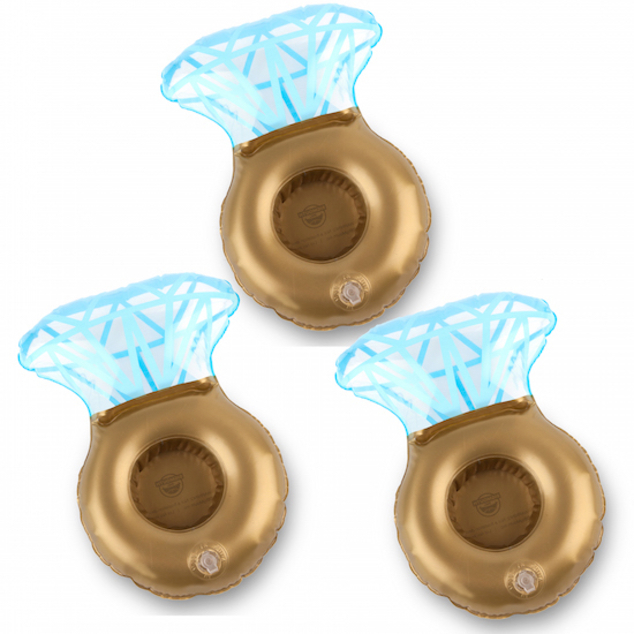 These Bling Ring Beverage Boats keep your standard size drink afloat, and will legally marry you if used in greater Las Vegas (we have not researched this—just a hunch). 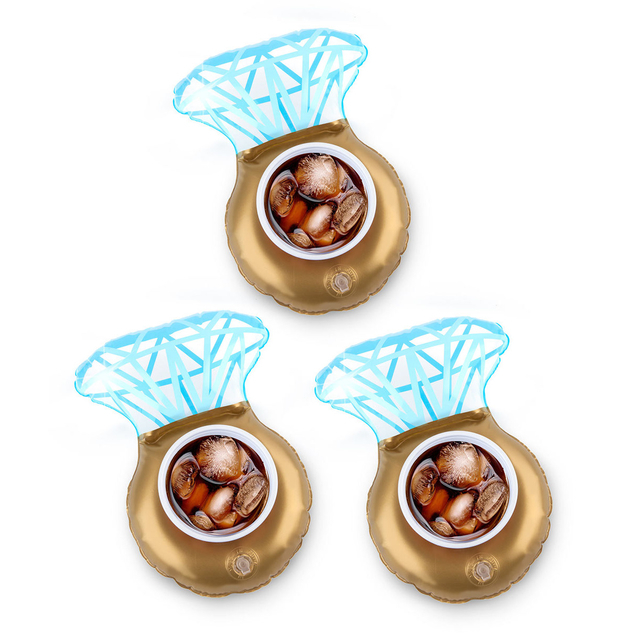 Sold as a 3-pack, each package contains more bling than a late 90’s rapper.